Toothache is a common reason for visiting the dentist. Pain from toothache can affect the teeth and jaws. Tooth decay is a common reason for toothache, which won’t usually get better on its own. 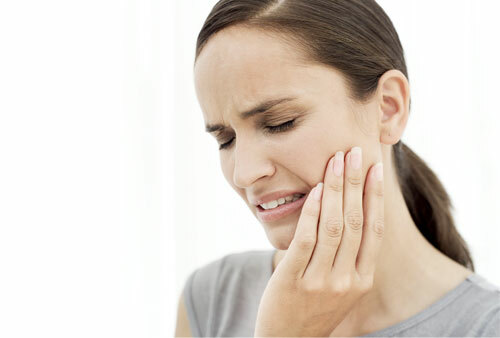 Toothache pain can be constantly throbbing, or may be set off by food or drink. When should I see a dentist about a toothache? Correct identification and treatment of dental infections is important to prevent their spread to other parts of the face and skull and possibly even to the bloodstream. What happens when I go to the dentist with a toothache? To treat your toothache, your dentist will first obtain a brief medical history and conduct a physical examination. He or she will ask questions about the pain, such as when it started, how severe it is, where it is located, what makes it worse, and what makes it better. Your dentist will examine your mouth, teeth, gums, jaws, tongue, throat and neck. X-rays may be taken as well as other tests, depending on what your dentist suspects is causing the toothache. What treatments are available for toothache? Treatment for a toothache depends on the cause. If a cavity is causing the toothache your dentist will fill the cavity, or if necessary extract the tooth. A root canal might need to be done if the cause of the toothache is found to be an infection of the tooth’s nerve. Bacteria that have worked their way into the inner aspects of the tooth cause such an infection. An antibiotic may be prescribed. Phototherapy with a cold laser may also be used to reduce the pain and inflammation associated with the toothache. Since most toothaches are the result of tooth decay, following good oral hygiene practices can prevent them. Good oral hygiene consists of brushing regularly with a fluoride-containing toothpaste, flossing once a day, and seeing your dentist as often as advised for check-ups and dental cleaning. In addition to these practices, eat foods low in sugar and ask your dentist about sealants and fluoride applications. Over the counter or prescription painkillers may be helpful for problems in the joint of the jaw – the temporomandibular joint (TMJ). If pain occurs every time you open your mouth widely, the TMJ may be the source of the pain. Yawning or taking a large bite of food may intensify the pain. An appointment with your doctor or dentist will help to determine the cause. In most cases dental or jaw pain can be treated with pain medication and antibiotics. A referral to a dentist for follow-up will usually be arranged. In some cases the dentist may try an injection around the tooth for pain control. If there is swelling in the gums or face, or you have a fever, antibiotics may be prescribed. At the dentist’s surgery, fillings, tooth extractions and other procedures may be performed as required. A tooth extraction will be the most likely procedure with a milk tooth. For permanent teeth, if the problem is severe, root canal treatment – sealing off the root of the tooth – and crown procedures are generally performed. These procedures are generally done in stages, with pain and infection being treated immediately, and reconstructive procedures being performed at a later time (weeks to months) when the infection has completely settled. You will be able to return to work or school while you recover. Dentists and oral surgeons may plan additional procedures at the most appropriate time. If causes other than the teeth or jaw are responsible for the pain, treatment will differ according to the condition.